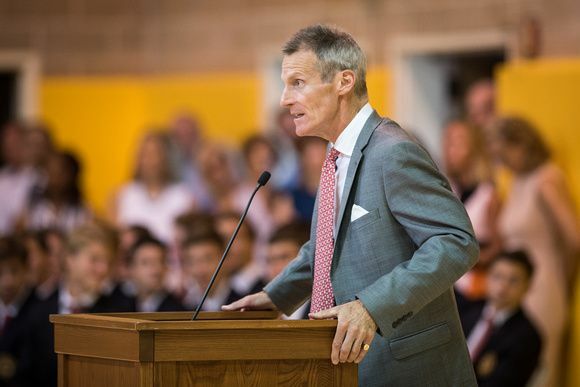 After members of the Class of 2019 processed hand-in-hand with first graders into Dann Gymnasium — a longtime First Day tradition — Headmaster Thomas W. Philip opened Brunswick’s 116th year by addressing the faculty and student body. 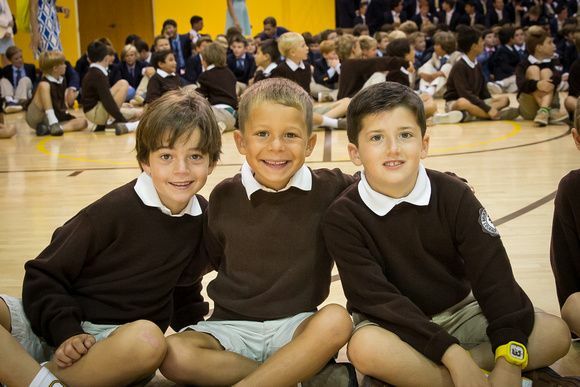 He began by encouraging anyone feeling anxious about the school year ahead to realize that all Brunswick boys and teachers are in it together. “If you’re starting today in a new building at the school, you might feel anxious. You’re not alone. 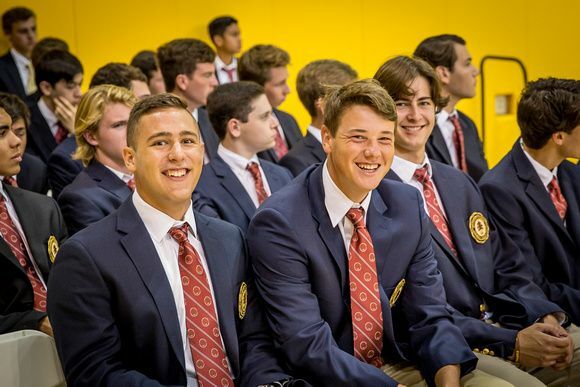 Philip urged students and faculty alike to celebrate team success, not individual accomplishment — especially during a time in the world when so many are so divided, quick to anger, and eager to twist the truth to their own advantage. “This is Brunswick School,” he said. 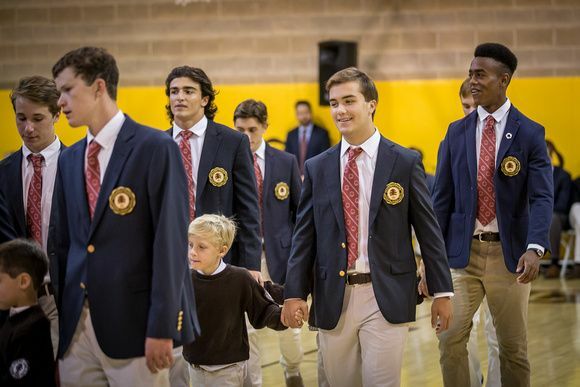 “For close to 120 years, we’ve been in the business of preparing young men for life. The world needs places like Brunswick. Philip concluded by looking ahead to Commencement next spring, when seniors seated to his left and right would receive their Brunswick diplomas. “Let’s be sure that we can say that during their time with us, they built great things. They became young men of promise and purpose — young men of Courage, Honor, and Truth.